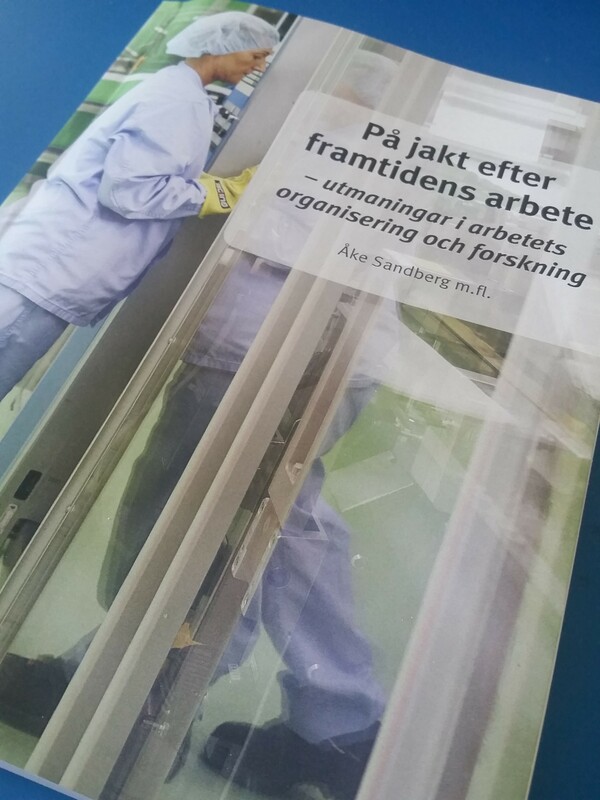 Now published: Our new book in Swedish ”På jakt efter framtidens arbete” is now published and may be downloaded here. Translation of the title: ”On the hunt for work of the future – Challenges for the organizing of work and for research”. 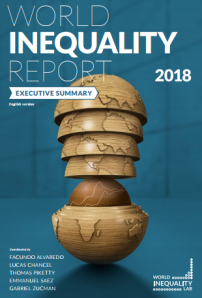 Twenty-eight authors write on research policy and the need for a really work-oriented worklife research, with a focus on which work organizations contribute to decent work, health and human development, rather than how to cure individuals already ill from working. Good and productive work is a theme. Work-oriented worklife research does also study management but from the perspective: what are the consequences for work and workers, rather than as in business studies -how can workers best be controlled and managed. Macro issues, power and industrial relations are crucial aspects,and not only the level of the individual. You may download below an English version of the table of contents and a separate document with abstracts in English of all the twenty-four chapters. The book may be downloaded here and at the publisher, Tankesmedjan Tiden, and you may also buy the printed book. Photo below, some of the authors at a seminar in June with a draft edition of the book. Unfortunately several women on the programme could finally not participate, but you will find them in the book! 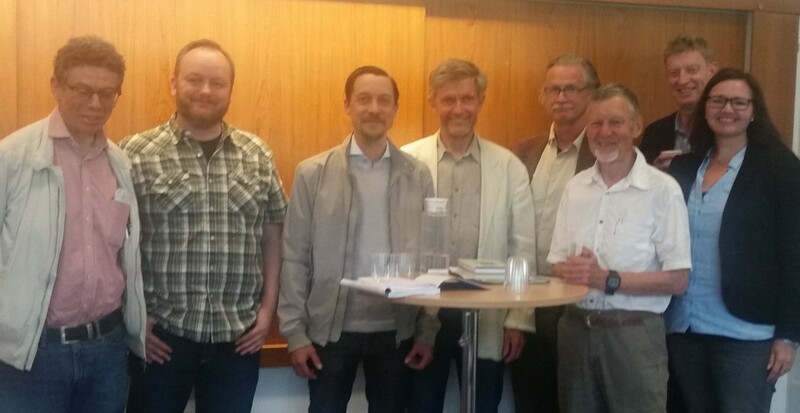 In the picture, from left to right at a presentation of a draft version of the bok (June 10, 2016): Ernst Hollander, John Sjöström, Fredrik Movitz, Åke Sandberg, Åke Walldius, Lennart Sturesson, Jesper Bengtsson (moderator), Carola Löfstrand. Unfortunately several women on the programme could finally not participate. är undertiteln på vår bok På jakt efter framtidens arbete som släpps idag. Det är en bok som kommer rätt i tiden. Regeringens budgetproposition tidigare i höst signalerade mer resurser till arbetslivsforskning. 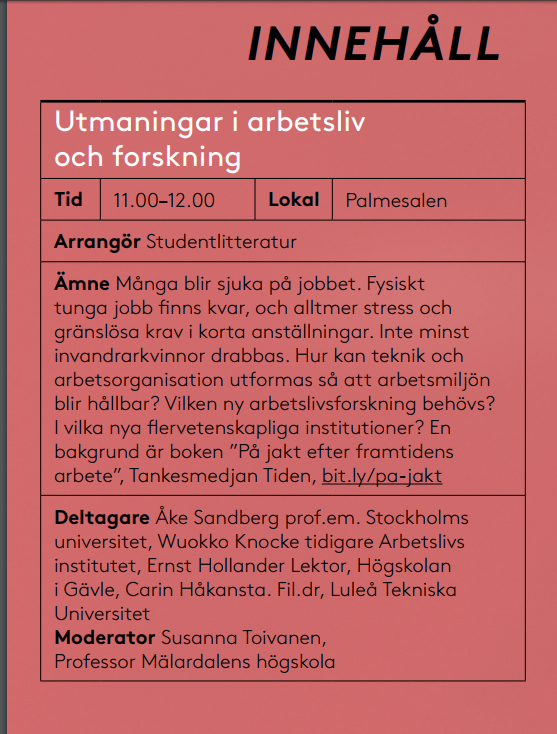 Imorgon måndag ska den långsiktiga forskningspropositionen komma. Återstår att se om vi där i regeringens förslag kan se en omorientering av forskningen i den riktning vi förespråkar i boken. Här är Innehållsförteckningen till de 24 kapitlen. 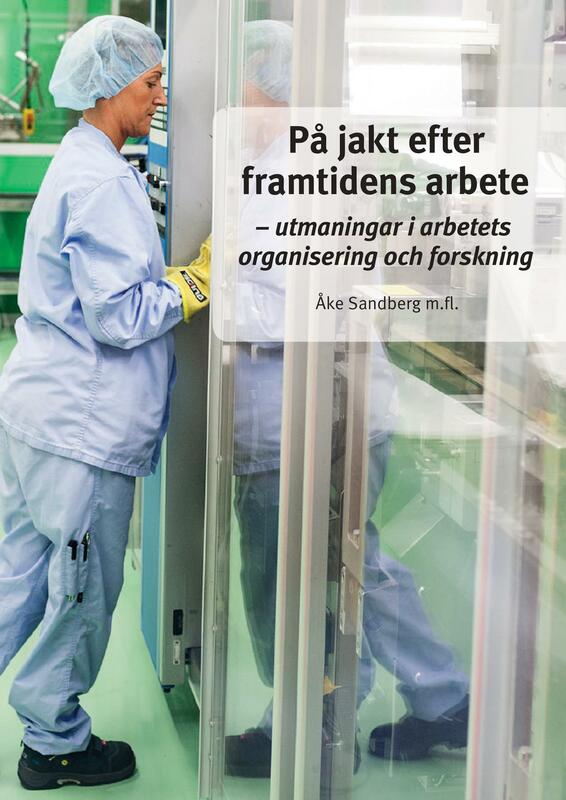 I fokus är arbetets organisering som bestämmer arbetskvalitet och hur arbetsmiljön blir för individerna. För att får kunskap om detta lyfts organisations- och samhällsforskning fram vid sidan av en idag alltför dominerande inriktning på individ, vård och management. 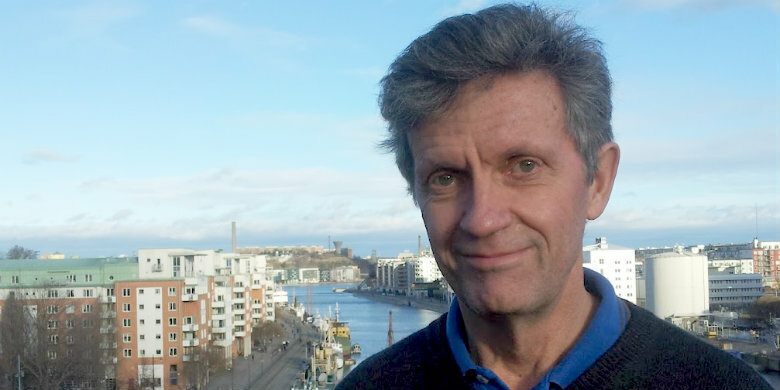 Tjugoåtta forskare bidrar till en analys av arbetslivets förändring och behovet av en reformering av forskningen, av inriktning, finansiering, organisation och samspel med praktiken. 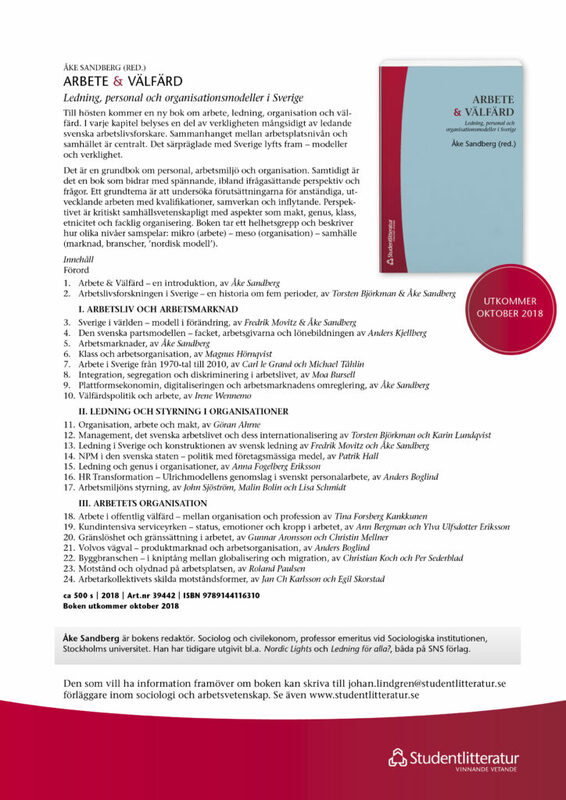 Our new book is now out (in Swedish) as well as a seperate document with Abstracts in English). Title translated: ”On the hunt for work of the future – Challenges for the organizing of work and for research”. More information and downloading (pdf) here.